Hi Tim, you are there.. where there is not pressure..a place where you can finally breathe..the sound of nature is our soundtrack of life and listening to it we can hear your music all around us. Rest in peace Tim. I saw Tim 2014 at Tomorrowland and 2015 at his gig in Mönchengladbach, Germany. It was amazing! Man, I miss You! The best Dj in the world who inspired millions of people listen and create EDM. Thank you, Tim for your music. Heart continues to break. That silent void. You will always be remembered and deeply missed. Tim, I will forever cherish your music. It brings me joy when I am sad and inspires me when I am lost. You had such an amazing talent and I am so grateful that you chose to share it. I don’t understand why you left the way you did but I hope your soul is at peace. You were such a delicate light and it saddens me that this world dulled your spirit. The world is poorer for losing you Tim - Thanks for the memories brother. Gone, but NEVER..EVER forgotten. His music helped me with depression. I remember dancing in my room, and I was so happy, so full of joy. Then when I heard that he died it broke my heart, and before that I was planning on getting a tattoo of his logo on me, and I will go through with that plan. I always wanted to see him in concert, but I never could, because I was too young and now, I can't see him and that breaks my heart. I am now a 16yr old junior at Booker T. Washington HS for the Performing and Visual Arts in Dallas, TX. Lieber Toni, gehe Deinen Weg und folge Deinem Herzen. Seit Deiner Geburt bete ich, dass Du ein glücklicher Mensch wirst. Ich wünsche Dir, dass Du Musik findest die Dich begleitet und schöne Momente festhält an die Du Dich immer erinnern wirst. Wenn ich Levels höre, denke ich an Dich, mein Sohn, an Deine Augen, Deine Stimme, Deine Wärme. Levels ist der Soundtrack Deines Lebens für mich. Danke. My sister and I loved his songs on the radio, even though we didn't know who the artist was until later. We'd dance our heads out, and when she went to Europe for twenty days, I listened to his songs constantly, not being happy that she was somewhere across the planet without me. When she was going to finish up 12th grade, we heard the news of his passing. We both grieved, and now she's in colledge. 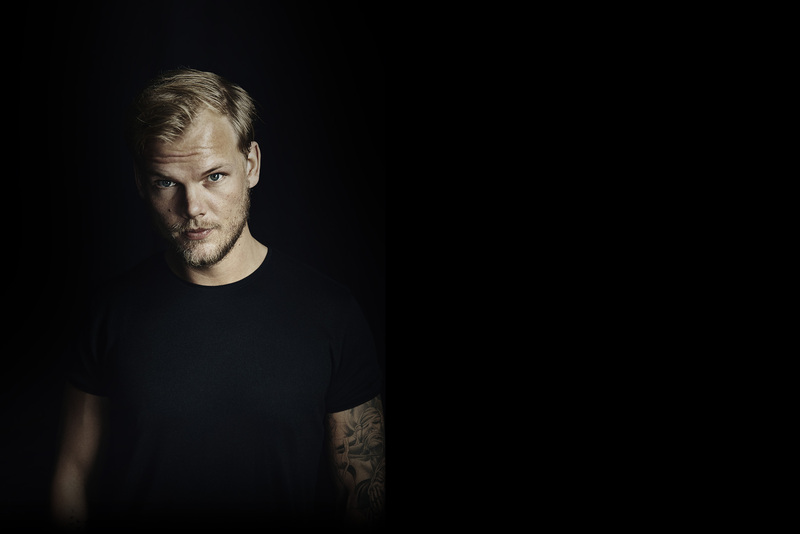 Thank you, Avicii, my thoughts are with you forever and always. Gone too soon we miss you!!! thank you for your music! I just remember waking up the day of my 18th birthday to the news of his death. That got me. You'll be missed. Loved his music and had talent, went to young and will be missed by millions, not just for his music but himself. People leave footprints everywhere when they leave this world for better things and he left his mark on people, friends, and family and connected through millions through his music and will continue to as people cover his music and keep his music alive helping people discover that they want to make music and other people discovering new artist through it as well. He is one of a kind. Auf der ganzen Welt trauern junge Menschen um Tim Bergling . Viele liebten seine Musik und jeder der seine Doku True Story sah , verstand unter was für einen extremen Druck er stand . Avicii funktionierte wunderbar als Geldmaschine . Falsche Freunde die durch ihn ihr Geld verdienten . So viele Leute waren abhängig von seinen Erfolg und Geld . Er fand nie sein Gleichgewicht das er so dringend gebraucht hätte . Das ware Glück und innere Ruhe konnte er so nie finden . Es tut mir sehr leid Tim . Jag såg dig spela i Stockholm 2014 och det var den stunden då jag visste att din musik har gjort allt för mig. Du har varit med mig i både bra och dåliga stunder och inte en enda gång har du gjort mig besviken. Du har verkligen förändrat mitt liv, jag försöker fortfarande imitera din hand när jag är på klubben haha. Du är min största idol och kommer alltid att vara. Love u Tim. I wish we could met you once again in Japan ... Thanks for first and last tour in Japan. That is my best memory forever. I remember when I saw you 2013 on the tv. And people talked about your new released song Wake Me Up. I’m training really much and your songs are my favourites. I got the best feelings when I hear them, and I push more when I hear them. Vila I Frid Tim , you are forever the legend. from "LIVE A LIFE YOU WILL REMEMBER"
Dear Tim, every day you inspire me to be a kinder and more loving person. Have listened to your music ever since I was six and will always want to be a dj like you. Your music is the most inspiring music I have ever heard in my life and I hope everyone out there takes you as an inspiration to be a better person in their everyday lives. Will always remember you and will treat every day as if it was my last enjoying every second of being alive. I will write here every month. Your Music saved my Life. Your music always be best. Din, masih kurang 50 ribu, mau dilunasin sekarang? when "without you" came out, that was the only song my friends and I listened to for two weeks straight. The Legends, Respect for you man. Tim, I remember you talking on YouTube about your music process and I was delighted to see that you were using FL studio. This is the DAW I used 20 years ago! I use FL studio now and I always think of you when I start a new project. Thanks for being so inspirational. Missing you bro! Tim was one of my fav dj/s. We all going to remember you. ther was a girl i liked and this song she made a video with about me and his music hey brothe makes me think about my brothers and how i want to alwys be ther for them.